In any organization, there will be many people taking a variety of courses at any given time. Tracking various statistics such as attendance, completion, proficiency, etc. becomes a big challenge. There is also the task of assigning relevant trainings to learners and keeping them up to date about new trainings. So how do organizations keep the massive machinery of training program well organized? A learning management system or an LMS is a software application used to deliver, manage, and track training programs. It helps you organize e-learning and classroom courses for your learners. Using an LMS, courses can be updated, graded, tracked, and assigned to learners very conveniently. 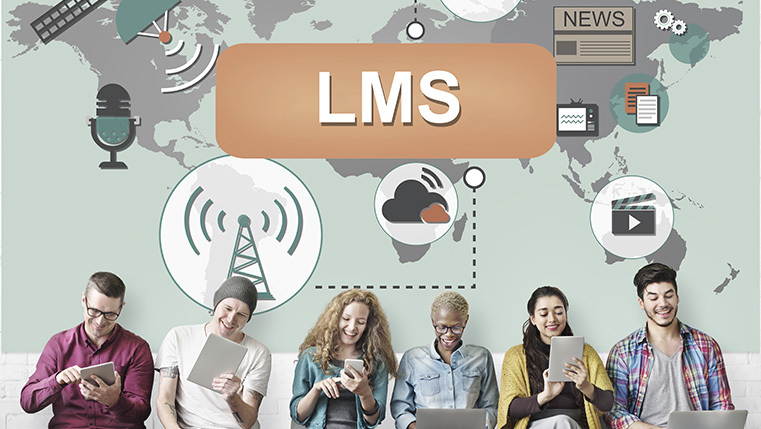 An LMS allows any organization to deliver electronic and classroom coursework, with unprecedented reach and flexibility, and manage its continued use over time. 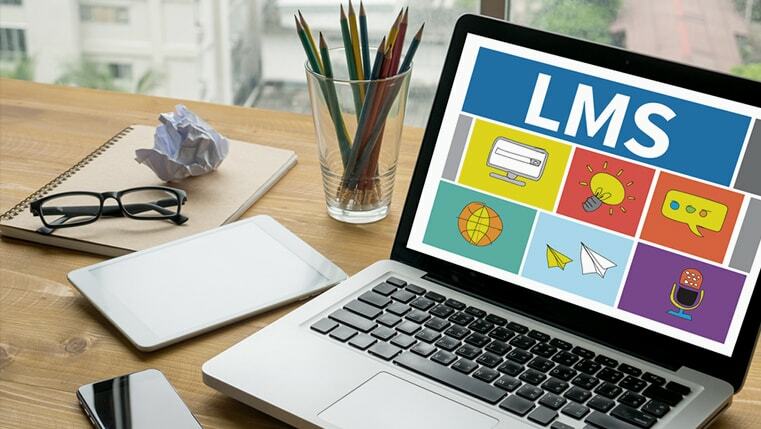 An LMS works effectively as an information system that administers instructor-led, e-learning and blended learning courses and keeps track of student progress. By giving convenient administrative solutions, it enhances the overall value of the training program and makes life easy for learning managers and learners alike. Using an LMS to manage learning can streamline your training administration process, allowing you to plan your training activity calendar and share it with your learners and trainers. With this, you can schedule and run your offline and online training. By automatically scheduling online trainings, you don’t have to keep track of assigning trainings individually. An LMS can also schedule instructor-led trainings for all relevant learners. You can dedicate a module in the LMS for online assessments as the completion point of the classroom trainings, giving you superior control over the number of people taking it. Generating insightful reports is one of the most powerful administrative aspects of using an LMS. It gives you access to a wide range of reports generated from comprehensive user data. Tracking learner activity is the most common report generated from their behavior within a course. Some of the key measurements for gauging learner activity are the amount of time spent taking the course, the learner’s progress within the course, and the answers given to specific questions within the course. You can also get reports that focus on individual courses rather than learners. A course report gives you all the statistics related to a course, like the number of employees who have taken the course or the percentage of takers who have passed it. A good LMS can present reporting data in beautifully laid-out graphs, pie charts, and widgets, making it easy for you to make informed decisions. An LMS becomes your centralized hub through which you can control your entire training operation. Your e-learning courses can be seamlessly updated across your global landscape with just a few clicks. This ensures that your learners always get the latest and best courses, which in turn helps your training to stay constantly relevant. You also get better control over the reach of your training material. If course reports display inadequate attendance, then you can re-prompt absentees to undertake the course. An LMS makes all types of training content available to individuals 24/7 – from any location. Users can access training material by logging into the LMS, irrespective of their device and location. Integration of social features is one of the most exciting things about an LMS. Depending on the size and spread of the organization, discussion forums and communities can be built around each individual course. This can be extremely useful if employees, who aren’t necessarily sitting at adjacent desks, are looking to discuss content of the course with other colleagues. Organizations can encourage employees to do better by providing competitive gaming elements such as leaderboards through the LMS. By visually displaying the performance of peers, employees can be motivated to do better in their trainings and give their 100%. To increase engagement and conversation around the content, polls, surveys and competitions can be implemented to generate enthusiasm. For global organizations, it is very common for e-learning courses to be in multiple languages. With the change of course language, the language used in the LMS interface should also change. An LMS can make managing these multilingual trainings very easy. Many LMSs provide the functionality to change the language used on a learner’s dashboard at the click of a button. This helps your training program to reach several learners. If learners are not comfortable with a language mid-way into a course, they can simply change over to a language that works for them. This adds a high level of consistency in your course and makes the training program truly global. Utilize an LMS to greatly smoothen the administration of your learning program. Make the best use of this technology to add a new level of sophistication to your training program.